iPhone 5 Release Set for Summer 2012, Steve Jobs Last Big Project? 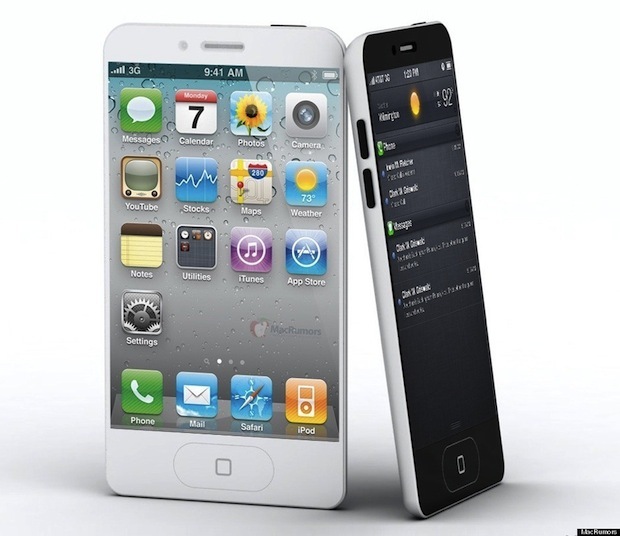 [iPhone 5] was the last project that Steve Jobs was intimately involved with from concept to final design. For that reason…this product will establish the high water mark for iPhone volumes,” Ashok Kumar, an analyst at Rodman & Renshaw, wrote in a research note this week. He expects the iPhone 5 to be a “cult classic” because of Jobs’ involvement. Even if it didn’t have the center of Steve’s focus or magic touch, the iPhone 4S has been a smash hit for Apple, blowing away the previous record launch of the iPhone 4 with over four million units sold in the first weekend alone. While the next-gen iPhone may have been the last major project with Jobs direct involvement, other reports indicate that Mr Jobs detailed over four years of products for Apple’s pipeline, suggesting that nearly all products the company introduces over the next few years had at least some collaboration. Here we go again… more iPhone 5 rumors. That was my first thought. It’s never going to end though, you just have to consider the sources to determine if anything is accurate. CNET just seems to be agreeing with the analyst report, sure they have some ‘source’ in Apple who vaguely confirms what everyone suspects anyway, but really what do you think Steve Jobs was doing for the last two years if not working on iPhones and iPads? Common sense tells you that. Now for the analysts, I don’t trust the analysts for anything, they just read the same rumors we all do and then present in a nice fancy report to institutional investors for a ginormous fee of $50,000 per month, what a cake job that is! Erm, suffering from cancer? The idea that he was busy on Apple products is a little far fetched, considering he was suffering a fatal bought of cancer. Alas you forget, Steve Jobs is considered a “god” to Apple fanatics who think he just strolled around like it was nothing to be battling cancer. . . Funny, I’ve never read anything from anyone that said Steve Jobs is a God. Is that in your bible? Maybe you’ve never known anyone with cancer, but they can have very productive days right up until the end, with proper pain management. I agree… the article is mostly useless. Of course there will be an iPhone 5 next year. “Summer 2012” as a scheduled date could really turn into June, July, August, September, October when it comes to Apple. And of course Jobs was involved in it at a CEO level – giving thumbs up or down to designs, features and the direction of development. I’m sure it’ll be a nice phone with half the rumored features. Same as every year. I don’t think there will be iPhone 5 the number 5 won’t mean anything. IP 4S is already the fifth generation so it should be iPhone 6 instead. 3G is the 2nd generation, 3GS is the 3rd, 4 is the 4th, 4S is the 5th. Next release will be the 6th generation. The next iPhone will not have a number at all and will not have any front buttons. Right but it’ll still be iPhone 5 4s is like 4.5.